1.4 What can produce the death of red blood cells? 1.8 Is jaundice a sign of hepatitis? Jaundice is a disorder characterized by the yellowing of the skin and the whites of the eye (sclera) as a result of the accumulation of bilirubin in the blood. What causes the onset of jaundice in the body is the accumulation of bilirubin in it. The the excess of bilirubin in the body is mainly due to the increased mortality of red blood cells, which, in medical terms is called hemolytic disorders. What can produce the death of red blood cells? Jaundice can be the result of a liver disease, such as cirrhosis or hepatitis. Liver disease, such as hepatitis or cirrhosis producing what is known as hepatic jaundice. Immune system diseases and cancers. Such as liver cancer, pancreatic cancer, leukemia, etc. Diseases of red blood cells, such as sickle cell anemia and other diseases such as ulcerative colitis, Crohn’s disease, galactosemia, malaria, increased spleen, kidney failure, etc. 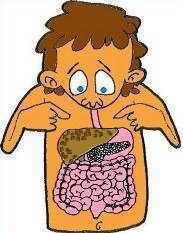 Blockages of the bile ducts: Bilirubin must be removed through the bile. The obstruction of the ducts that carry bile from the liver to the intestine can cause jaundice. Gallstones located in these tubes are major disorders that can block the bile ducts. Such type of jaundice is known as post hepatic jaundice. This is produced not only by gallstones but by many other reasons responsible for bile not to adequately reach the intestine, such as bile duct cancers, drugs, pregnancy, problems of poor formation of the bile ducts, etc.. Artificial heart valves damaging red blood cells because of friction. Received incompatible blood through a blood transfusion. Drugs: Drugs are sometimes responsible for jaundice either because they produce exaggerated death of red blood cells or because they determine the bile to stop flowing through bile ducts. Among the main drugs that can cause hemolytic disorders, we have, for example, quinine, vitamin C, vitamin K, levodopa, etc..
Poisons and toxins: Certain plant and animal poisons, industrial toxins, heavy metals, etc. can destroy red blood cells. Liver jaundice: Among this type, we have those types of jaundice caused by liver difficulty to process bilirubin. Within this type, there are, as seen above, types of jaundice caused by disease, infection, genetic disorders, etc..
Post hepatic or obstructive jaundice: When jaundice occurs because bilirubin can not reach the intestine after leaving the liver, either because the bile ducts are blocked or because bilirubin stops flowing. 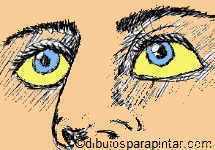 The most characteristic symptom of jaundice is a yellow coloration that occurs in the mucous membranes, skin or white of the eye. Sometimes jaundice is accompanied by itching. Another case that deserves a special attention is jaundice in newborns. When bilirubin levels in newborn babies are very high, they can affect the brain. Is jaundice a sign of hepatitis? Hepatitis may produce jaundice, but it does not always produce it. Jaundice, therefore, does not necessarily indicate the presence of hepatitis. Jaundice can answer many other causes, as discussed above. In the presence of jaundice, it is necessary to visit the doctor who wil diagnose the causes that have led to produce this disorder. The diagnosis is usually carried out by an inspection of the color and appearance of the eyes and skin. The doctor will need to perform a palpation of the digestive system to check the status of the liver, spleen and intestines. The official treatment of jaundice will tend to cure or alleviate the specific disorders that have caused it. More information on jaundice natural treatment.